In 1985 BBC organised a Domesday Project in which the pupls of Hillside School took part. 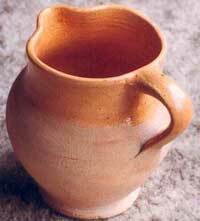 Ferrett's Green history and the Crossroads Pottery. 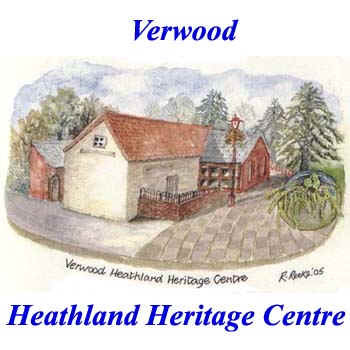 History of the Verwood Heathland Heritage Centre and the site of the Crossroads Pottery. The History of the community of Verwood which is situated on the edge of Cranborne Chase. This article was written in 1968 by Pamela Reeks. The longest surviving shop in Verwood which closed in 2005. The history of Methodism in Verwood as it relates to Verwood Methodist Church. A history of Verwood Memorial Hall including its Jubilee Celebration in May 2009. Verwood’s Pam Reeks has been awarded the British Empire Medal for services to the community in the 2014 Honours List. Pam has said that she found it very difficult not to say anything since she fist knew about it last November 2013. Retirement of PAM & Ron Reeks from the organisation of the Vintage Vehicles displays at the Rustic Fayre (Aug 2006). Verwood Station and the Salisbury & Dorset Junction Railway until its closure under Dr. Beeching. Reminiscences written by or told by Verwood Residents both past and present including Horton Heath footpaths to Verwood The longest surviving shop in Verwood, The Old Restynge House, Butchers closes, and As it was in the past. A tour around Woodlands Village as it was in the past collected by Tony Froud. Reminiscences about the war written by or told by Verwood Residents both past and present including Village War Years, War Years Remembered, Elsie's story (London Evacuee), Reserved Occupation, V. E. Day, Soldiers of the King, Dad's Army , and NAAFI & Blitz. WW1 Commemoration On Monday the 4th of August 2014 Verwood Town Commemorated the start of WW1 and re-dedicated the "Verwood Memorial Recreation Ground"
Verwood Remembers WW1 On Sunday the 9th of November 2014 Verwood Town and the Royal British Legion Remembered. In front of a large crowd and after a short service the 2 minute silence was observed at 11:00 a.m.